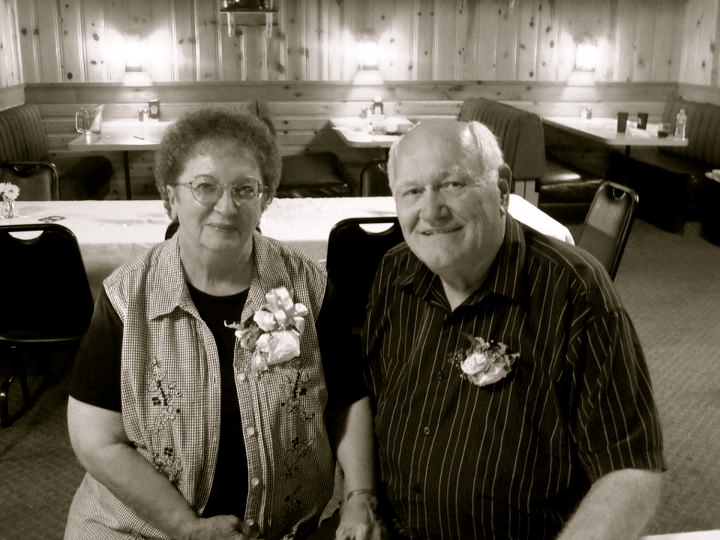 This past weekend we celebrated my Grandparents 50th wedding anniversary. 50 years! They are such a great example to me. They do lots of camping and traveling together, and they're always holding hands. I basically hope to be just like them when I'm older. Sometimes I can't believe I've been married for over 2 years because we're still learning so much about each other, and other times it seems like we've been married forever! Because people are constantly learning, changing, and growing, I suppose that you will always have something new to learn about your spouse. How boring would things be otherwise? My little sister is missing in these pictures because she is at college now. We missed you Lauren! awwww so sweet! we had our 12th wedding annniversary yesterday :) I hope we make it to 50!! happy 50 years to your grandparents!! such a blessing!